Today, for Aldersgate Sunday, our Circuit Superintendent Minister Rev’d Colin Smith, spoke to us about John and Charles Wesley and the Foundery, the first Methodist place of worship. Use the player below to listen to the sermon, or click here to download the MP3. 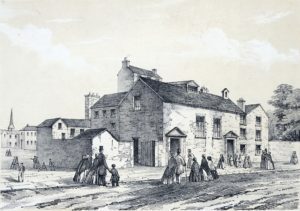 The picture of the Foundery referred to in the sermon can also be found below.